At the northeast end of the Phillippi Creek watershed lies the Celery Fields. Originally built to mitigate downstream flooding, the Celery Fields is now a renown birding and recreation destination. 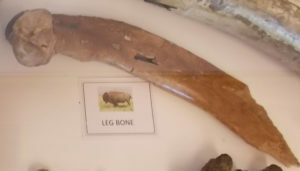 During the excavation of the ponds in the 1990s, several fossils were uncovered, revealing past residents of the area. 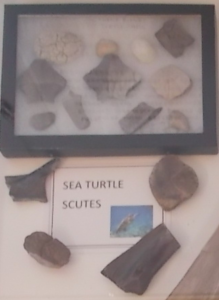 If you have the chance to explore the LEED certified Audubon Nature Center, you will find these unique fossils on display. Thank you to Elaine Dunkleberger for sharing her findings and to Sara King for the wonderful photos. When people think of ancient elephants, they often think of wooly mammoths. 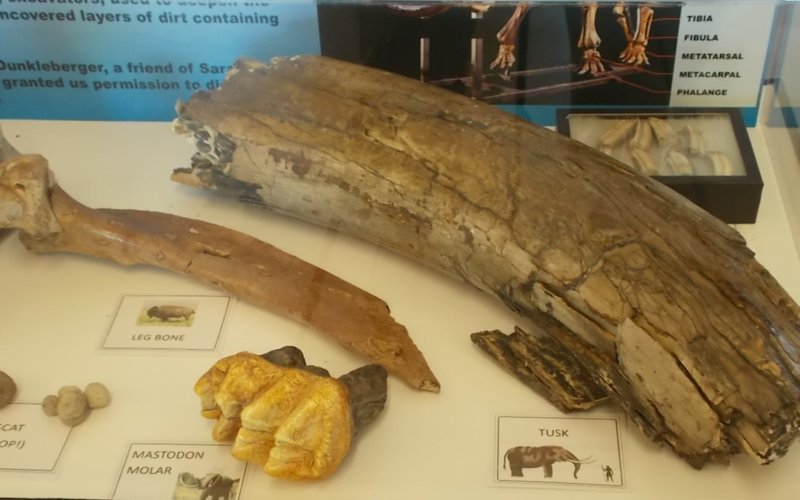 Mastodons are also part of this order of elephants, but they appeared 27-30 million years ago, which is much earlier than mammoths, who existed about 5.1 million years ago. Mastodons were also more common in North and Central America, whereas mammoths appeared in Africa. 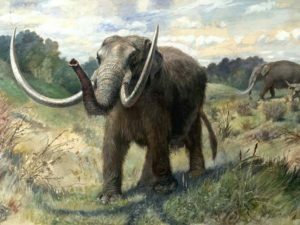 Mastodons, like many other land mammals found in the Celery fields were probably drawn to the area because of its water. The land used to have a large lake where the current stormwater ponds are now. 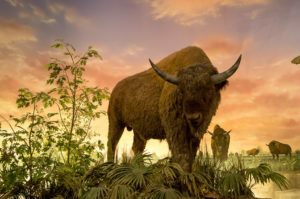 Bison appeared in Florida roughly 500,000 years ago during the middle/late Peistocene epoch (2.6 mya-10,000 years ago). Because these animals spent much of their life in and around grasslands, most of their remains disintegrated unless they were preserved underwater or in sink holes. Note: the first humans also arrived at the end of this period about 12,000 years ago. Ancient horses were a lot smaller than those we know today. 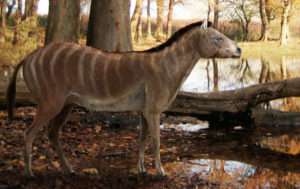 The first members of the horse family were the size of a dog, standing around two feet tall. They mainly foraged in forests. It wasn’t until grasslands expanded due to a changing climate when they evolved to be bigger and started grazing primarily on grass. 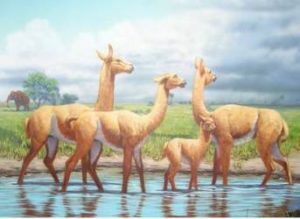 Believe it or not, there were three different species of camels that lived in Florida during the Pleistocene epoch. 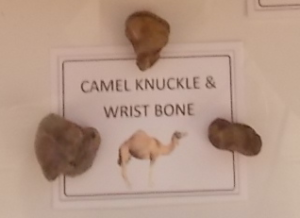 However, they were closer related to the llama than today’s camel, and did not have a humps. These ancient camels stood anywhere from three to seven feet tall. 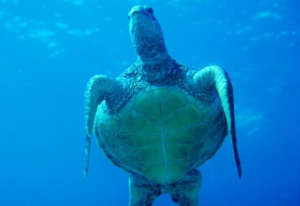 Sea turtles remain one of the oldest animals on Earth, having evolved about 110 million years ago. They are also unique in the sense that they have remained largely unchanged over time. As turtles grow, the plates on their shell, or scutes, peel off to be replaced by larger ones. Peccaries, unlike modern day pigs and wild boars, are native to the Americas. Florida’s population existed during the late Pleistocene (2.6 mya-10,000 years ago) before going extinct. 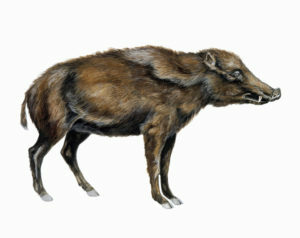 However, peccaries still exist in the Southwestern U.S. and Central and South America. During the Celery Fields excavation, a peccary tooth was unearthed. Similar to the turtles, alligators are also one of the oldest creatures on the planet. They evolved 245 million years ago. Today’s species have been around for the past 6-8 million years. 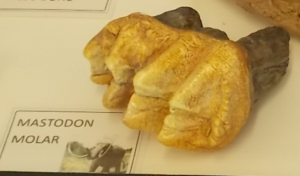 On display at the Nature Center is a baby alligator jaw.